A: No, rather than being another technique of massage, Pfrimmer is a specialty unto itself... a comprehensive system of corrective movements designed to aid in the restoration of damaged soft tissue in the entire body. Pfrimmer is the foundation upon which other trouble shooting techniques may be added. Pfrimmer therapists are viewed by doctors as "specialists" in the field of muscle therapy. Q: Why is Pfrimmer considered the foundation for trouble shooting & corrective Massage? A: Because it stimulates corrective changes on the cellular level. Once the body begins to heal itself, it responds well to additional trouble-shooting such as myofascial release, positional release and trigger point work. Q: What is the difference between Pfrimmer and regular massage? A: Massage Manipulations work with the superficial layers of muscle and move body fluids. PDMT releases adherent and fibrous muscle conditions exisiting in deep layers of muscle. PDMT actually corrects muscles and other tissues which have become damaged. Q: Can Pfrimmer be incorporated into Swedish Massage? A: No. Mixing the two in the same session would nulify the corrective system of Pfrimmer thereby canceling potential results. The two differ dramatically in concept and execution of technique. 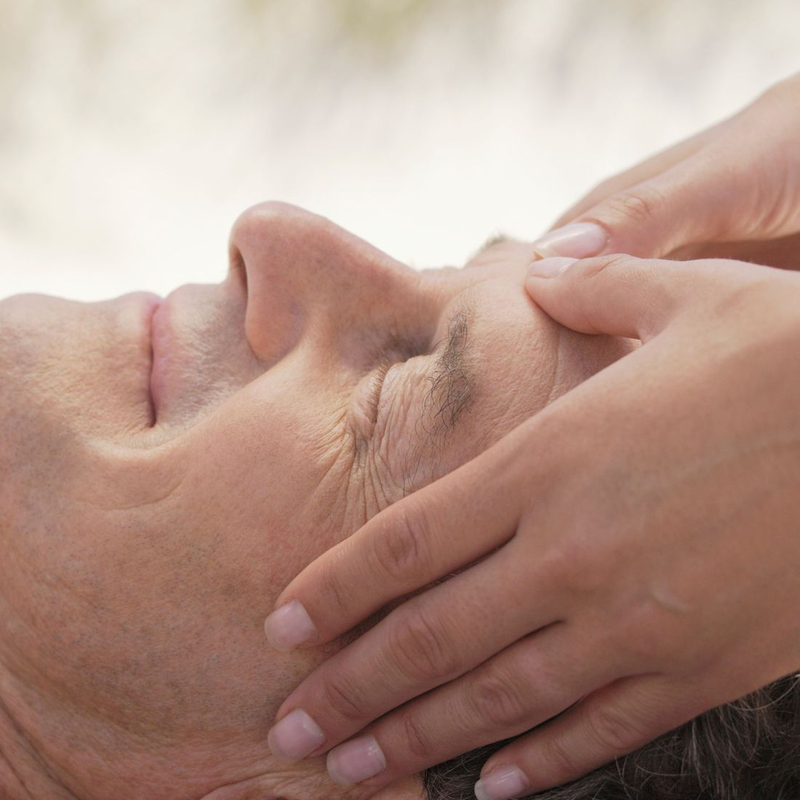 Swedish massage is designed to flush fluids toward the heart; PDMT to bring them into the cell. Swedish is designed for relaxation; Pfrimmer for correction. Q: Is PDMT the same as Deep Muscle Therapy of other forms of deep tissue work? A: No. Deep Muscle Massage follows the principles of Swedish Massage and is basically the same technique done more deeply. Q: Does PDMT combine well with chiropractic and osteopathic treatments? A: Yes! Since the skeletal & muscular systems function together, combining PDMT with chiropractic & osteopathic creates a synergistic relationship. Treatment of damaged muscles aids chiropractic & osteopathic adjustments to the skeletal system, allowing them to "hold" longer and better. Skeletal misalignments are often caused by damaged or impaired muscles. PDMT can give help at the source of many structural problems. Q: Does PDMT combine well with physical therapy? A: Yes! The detailed handwork "inside" the muscle bundles performed with PDMT works toward restoring the health of the muscles, thus contributing to positive results in physical therapy. Q: Does "deep" mean painful? A: No. Most people say that "it hurts good." In other words, if you have a problem area, it will hurt to some degree to have it worked on, but it feels "right" to have the problem addressed. Also, "deep" doesn't necessarily mean "hard." With the proper technique, muscles deep in your body can be reached with a minimum of pressure. Q: What kind of background would a Pfrimmer Therapist likely have? A: High Academic standards set by AMTA (American Massage Therapy Association) schools have made it possible to train qualified massage therapists in the Pfrimmer profession. Because of their excellent training in hand techniques and palpation, they can readily master Pfrimmer techniques. Any potential Pfrimmer Therapist must care about people and have an inquiring mind. Q: What are the educaitonal prerequisites for studying to become a Pfrimmer Therapist? A: A minimum of 500 hours of formal, in-class schooling in anatomy, physiology, pathology and body work is required. Q: When should a doctor consider referring their patient for PDMT? A: Referral may be warranted for conditions involving the skeletal, muscular, neurological, circulatory or respiratory systems, or in cases where any inflammatory conditions or entrapment of nerves has occurred. PDMT is indicated for the prevention as well as the correction of many health threatening problems. PDMT is also beneficial for people desiring to maintain a healthy physical state.